The Occidental women’s water polo team began their season with a trip to Pittsburgh where they won three out of four matches. The Tigers have now begun Southern California Intercollegiate Athletic Conference (SCIAC) play and have an overall record of 6–9. The team headed to Pittsburgh to compete in the Washington & Jefferson (W&J) invitational tournament where they faced off against a number of teams from across the country. Lori Berberian (junior) explained how it was somewhat strange to be playing so far from Los Angeles. The team enjoyed an 8–5 win over Grove City College and a 14–4 loss to Salem University Feb. 23 before sweeping their games Sunday with a 16–8 win over Penn State-Behrend (PSB) and a 17–11 win over Wittenburg Feb. 24. Head coach Jack Stabenfedlt expressed his satisfaction at the team’s performance in Pittsburgh. “The trip to Pittsburgh was a great experience for the team in and out of the pool. I think it’s continuing to impact our cohesion in a positive manner,” Stabenfeldt said via email. The impact outside of the pool was an aspect that Claudia Oppermann (senior) also noticed. 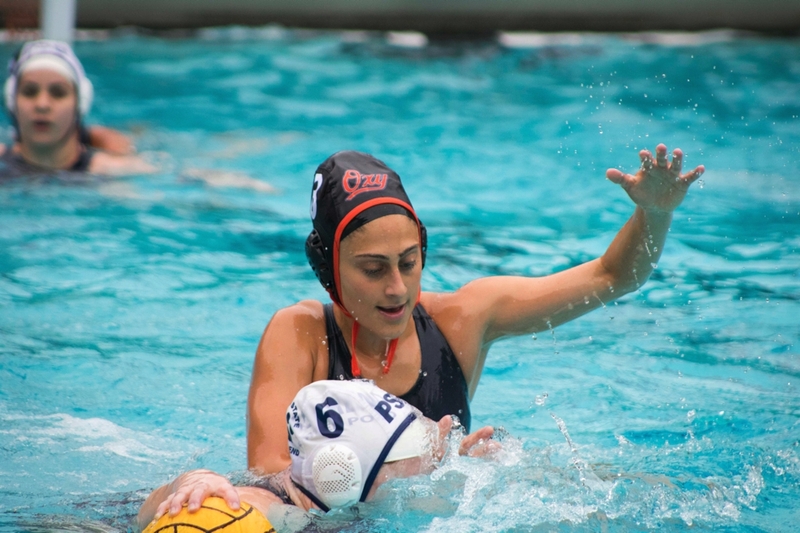 She explained how this bonding was crucial to an Occidental team that has a large number of first-year players yet to experience college-level water polo. Among the wealth of first years players on the team, Abigail Lavold is a player Berberian pointed out as a particular standout on this year’s team. 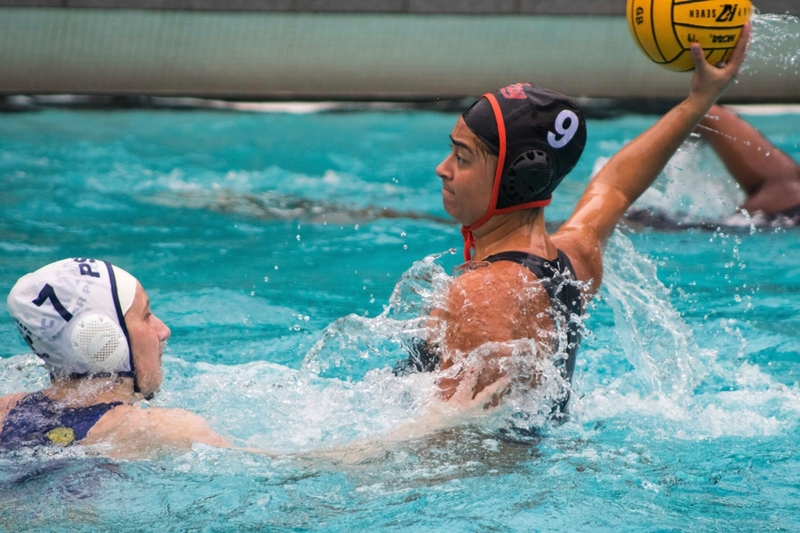 Lavold, an attacker from Tacoma, WA, has scored 16 goals in her last six games for the Tigers. “She’s an important part of our offense and defense, as is the rest of the team,” Berberian said. Stabenfeldt said how pleased he was with his team’s ability to learn quickly and excel in games. Following the trip to Pittsburgh, the team competed in another tournament — the Convergence Tournament — hosted by both Claremont-Mudd-Scripps and Pomona-Pitzer. 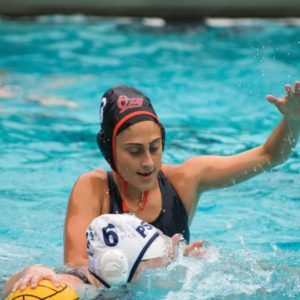 Occidental recorded a 15–6 loss against Villanova and a 13–6 loss to Virginia Military Institute March 1, and then lost 15–6 to Siena College before finishing the tournament off with a 9–6 win over Grove City College March 2. “The results weren’t as good, but we were playing against more difficult competition,” Berberian said. Stabenfeldt said he was pleased with how his team is adapting to playing more challenging matches now that they are back competing in Southern California. The match against PSB was a re-match from earlier this season, and the Tigers once again dominated their opponents. This time the score was 15–8 and Chandler Luebbers (sophomore), like Stabenfeldt, felt the Tigers did well against their familiar opponents. “I think going into it knowing that we had a good chance of winning because we had just beat them, we had a certain mindset where we had the opportunity to further our success,” Luebbers said. With SCIAC games in full swing, Oppermann reflected on both personal and team goals. While Berberian cited making the playoffs as a team goal, she also explained how the team is very aware that their roles extend far beyond the pool.